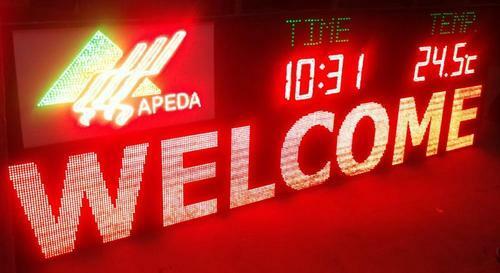 We are manufacturing and supplying a wide range of Flex Board, LED Sign Board, Letter Sign Board, Glow Sign Board, Promotional Display Gate, Offset And Printing Services, etc. These products are designed by our designers using high quality basic material and cutting-edge technology in accordance with the international standards. The offered products are highly demanded for their features like excellent paper quality, tear resistance, weather proof, attractive color-combination, easy to install, perfect finish, eye-catchy design and light weight. In addition to this, we are also providing services like Showroom Decorations and T-Shirt And Mug Printing.